This problem is more common than you would think. What with modern diesel engines being quite silent and some older petrol engines sounding like diesels? Many cars these days don’t even have many external badges to distinguish them and the poor fuel pump attendants often make mistakes. There are plenty horror stories of how car engines can get totally wrecked because of the wrong fuel choice. Imagine this: You are in a hurry, you pull in at a fuel station, ask for fuel not specifying what you want and then dash off only to realize that the fuel filled was the wrong one. What do you do? What can go wrong if you put diesel in a petrol car? Diesel is a heavier fuel than petrol and also more oily. The first part that gets affected is the fuel filter, which will tend to clog up quite quickly as diesel is relatively more oily. That itself should begin to make your car stutter and stall. The second part to get affected would be the spark plugs, which will foul up with soot build up because of the diesel mixed with petrol. Your car will emit lots of white smoke as well and lose power before it stalls completely. Diesel engines though are not as forgiving as petrol engines. Putting petrol in a diesel car can lead to even more expensive damage, because in diesel engines, there are parts like the fuel injection pump that depend on the diesel’s lubrication properties to run smoothly. And then there are rubber seals that don’t like the high cleaning, drying properties of petrol as well. However, for a diesel engine to even begin to start showing signs of wrong fuel, it takes quite a while. Initially, there is black smoke due to unburnt fuel, then sluggishness and stalling. It will refuse to start after that. What to do if you’ve put in the wrong fuel? The first thing you should do if you’ve realized that you’ve put in the wrong fuel is not run the car. Next disconnect the main fuel line from the engine to the tank. If you can access the tank using a hose through the filler cap, do that and syphon off as much fuel as possible. Drain the rest through the main fuel line. You will need to get a mechanic to do this for you. Crank the engine a few times by turning the key to pump out any remaining fuel. Let the fuel drain out of the main fuel line as the engine cranks (it won’t start). Then fill in about two litres of the proper fuel and crank the engine to clean up the lines, before connecting the fuel line back. Then top-up the tank using the correct fuel and add an additive to clean the injectors. In a petrol car you will need to change the fuel filter and clean the spark plugs. With a diesel vehicle, open the drain plug at the bottom of the filter and drain out any fuel in the filter as well. Then prime the vehicle using the manual diesel pump and start it. Four of the largest Japanese car manufacturers have teamed up to develop a major extension of the country's electric vehicle charging infrastructure. Toyota, Nissan, Honda, and Mitsubishi yesterday announced they will promote the installation of chargers at a wide range of locations, including shopping malls, restaurants, and motorway service station, as well as the roll out of rapid chargers at locations that are suited for shorter stops, such as convenience stores and petrol stations. The companies also pledged to promote charger installation by bearing part of the costs, assisted by 100.5 billion Yen (£666m) of government subsidies, for a temporary period. In addition, they said they would work with companies that are already providing charging services, in which each of the four automakers already have a financial stake, to create a more joined-up network and payment process. "Previously, each automaker assessed possible locations for charging facilities on their own," a joint statement said. "Now, they have agreed to work jointly under the common understanding that the charging infrastructure has public value and that enhancing it should be done quickly during the limited period that the subsidies are available." There are currently around 1,700 quick chargers and just over 3,000 normal chargers in Japan, but the companies said studies are underway to increase the number of normal chargers by 8,000 and quick chargers by 4,000. The move will undoubtedly help sales of the companies' pure electric and plug-in hybrid models, which include the Nissan LEAF, Mitsubishi iMiEV, and Toyota plug-in Prius. In the absence of significant government support for charging networks and faced with relatively slow take-up for new electric vehicles, car makers are starting to take matters into their own hands. The Japanese collaboration follows BMW's five year partnership deal with Charge-master to establish ChargeNow, a public charging network for owners of its BMW i electric range across the UK. It also comes as British Gas continues to build on its partnership with Mitsubishi to accelerate the roll out of domestic chargers, which comes ahead of the expected release of the new Outlander plug-in hybrid at the end of 2013. Andreas Atkins, head of electric vehicle services at British Gas, said its offer of charging points to customers was "a milestone for the UK's electric vehicle market". Al Ain Japan (PVT) Limited is a member of all leading auctions in Japan, such as USS (Used car System Solutions) , TAA (Toyota Auto Auctions) , ARAI (ARAI auto auction), NAA (Nissan Auto Auction) , and HAA (Hanathen Auto Auction), JU Groups. We maintain good relationships with all of the leading shipping companies. For our customers we have opportunity to make bookings immediately and get the best rates for the vehicles from our shipping companies. We are constantly upgrading our customer support systems to provide the utmost customer satisfaction. We have a quality standard where all of our vehicles get inspected and are taken for a test drive by our technicians. Each vehicle receives approval based on its condition. Only vehicles which pass this test get approved for export. This process is strictly followed to ensure the quality of all vehicles we export. 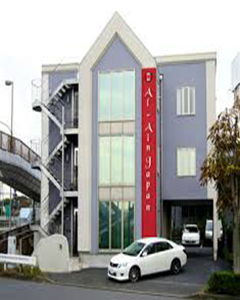 At Al Ain Japan , we are well known for our dedicated customer service and the reliability of our shipments. We offer our customers the best prices and immediate availability of service. Our experience and market knowledge of exporting industry of Japanese Used Cars also makes it possible for us to anticipate the needs and preferences of our customers. Our sales team is available to provide customer support 24 hours a day and we have multilingual staff providing English, Japanese, Russian, Singhalese and Tamil support . As one of the main Japanese used cars exporters, Al Ain Japan has a trusted membership in JUMVEA, Export Bureau and Yokohama Chamber of Commerce and Industry. JUMVEA was established in 1995 as the Japan Used Motor Vehicle Exporters Alliance and was approved by The Ministry of International Trade and Industry of Japan in 1997 as the Japan Used Motor Vehicle Exporters Association and it is the most reputable organization in the Japanese used car export industry. TOKYO (Bloomberg) -- Toyota Motor Corp. is facing a Japan problem. The company was outsold by General Motors Co. for the first time in six quarters, as sales in Japan extended their decline after government incentives for fuel-efficient models expired last year. Toyota and its subsidiaries sold 2.48 million vehicles during the quarter nded June, just shy of the 2.49 million that GM disclosed earlier this month. Toyota still holds the lead six-month lead over GM. But Japan's largest automaker sold 8.4 percent fewer vehicles in its home market last quarter. Toyota's decline in Japan car sales shows a rare weak spot for a company that's forecasting its biggest profit in six years and whose stock has gained 54 percent this year. Japanese vehicle sales have fallen steadily since the asset bubble burst in 1989, with temporary boosts from government subsidies. "The decline in Japan will continue," said Jun Nokuo, an analyst with researcher R.L. Polk & Co. in Tokyo. "It is an aging society and the population is shrinking. At the same time, the popularity of cars is declining because public transportation is easy to use." Toyota's sales in the first six months of this year dropped 1.2 percent to 4.91 million units. GM sold 4.85 million vehicles in the first half and Volkswagen delivered 4.7 million, according to the companies. Toyota has been projecting since late December that sales will climb to almost 10 million units -- a milestone no automaker has ever breached -- in 2013. Japan's largest manufacturer has an ever bigger buffer in the yen, whose decline has been bolstering the value of Japanese exports. Toyota, which reports earnings on Friday, Aug. 2, probably saw profit last quarter surge 48 percent to the highest in more than five years, according to the average analyst estimate compiled by Bloomberg. Separately, Toyota said July 26 it will further expand its Princeton, Ind., auto-assembly plant, investing $30 million to boost Highlander SUV production by a further 15,000 units a year from 2014. The plant will also hire 200 more workers, spokeswoman Carri Chandler said. Nissan Motor Co., which on July 25 reported a 14 percent increase in profit, has taken advantage of favorable exchange rates by cutting prices of seven models in the U.S., including its top-selling Altima sedan. Nissan saw sales surge 20 percent last quarter. Toyota has resisted following Nissan's price cuts and saw its sales in the country rise by 3.7 percent -- less than half the pace of the industry -- and its U.S. market share fell to the lowest in five quarters, according to data compiled by Bloomberg. At GM, 18 new or refreshed vehicles are being brought into showrooms this year, transforming its lineup into one of the market's newest from one of the oldest. One of the earliest new offerings, the 2014 Impala, was rated by Consumer Reports as the best sedan on the market -- a first for a U.S. automaker in at least 20 years. The product push is part of CEO Dan Akerson's efforts to boost North American profit margins to 10 percent, stem European losses and increase China sales to 5 million, all by mid-decade. GM's rise to the top of the global industry capped a week in which the maker of Chevrolet cars and Ford Motor Co. posted earnings that beat analyst estimates. In China, where a territorial dispute led to a consumer backlash that cut demand for Japanese products last year, Toyota continued to lose market share to GM and Volkswagen. Toyota's sales climbed 0.6 percent last quarter, versus GM's 12 percent and Volkswagen's 16 percent, according to figures reported by the companies. Demand for Japanese products in China, the world's largest auto market, is recovering from last year and Toyota is targeting this year's deliveries to rise to at least 900,000 units, up about 7 percent from 2012. In Europe, where auto demand is slumping to its lowest level in two decades, sales of Toyota and Lexus cars last quarter were little changed from a year earlier, reaching 215,734 units. That helped the company keep its market share at about 4.5 percent, according to Toyota. In 2008, Toyota ended GM's 77-year reign as the world's largest automaker, holding on to the top annual sales spot until 2011, when it surrendered the title after production was disrupted by natural disasters in Japan and Thailand. Sales rebounded in 2012, allowing Toyota to deliver 9.75 million units and regain its global No. 1 title as the recession receded, while the carmaker added products and was spared from disruptions from natural disasters. "The fight between GM, Toyota and VW will be long and hard fought," said Alec Gutierrez, senior analyst at Kelley Blue Book. "It will be the manufacturer that is best able to deliver high quality, affordable, fuel-efficient transportation to the masses that will ultimately own the global sales race." Toyota Motor Corp. looked set to retain its title as the world’s top-selling car maker in the first half of this year, company figures showed on Friday, outpacing General Motors Co. and Volkswagen AG as it boosted overseas sales to a record high. The Japanese auto maker said its groupwide global sales for the first six months totaled 4.911 million vehicles. That was down 1.1% from a year earlier due to weaker Japan sales following the end of green car subsidies, but sales in the US, its biggest market, were strong. By comparison, General Motor’s January-June sales rose 4% to more than 4.85 million cars and light trucks, while Volkswagen’s climbed 5.5% to 4.7 million vehicles, those companies reported earlier this month. Volkswagen’s sales figure, however, excludes its Scania and MAN brands. Scania sold 37,980 vehicles during the same period, while the MAN figure will be released later this month. In recent years, MAN has sold around 60,000 to 70,000 vehicles in the first half of the year. Toyota regained the global sales crown last year after slipping to third place behind GM and Volkswagen in 2011, when its supply chain was hit by naturals disasters in Japan and Thailand and after a series of recalls tarnished its reputation for quality. Previously, it had been on top from 2008 through 2010. Toyota’s group-wide total includes sales at Daihatsu Motor Co Ltd and Hino Motors Ltd.
Toyota, based in central Japan, last year made about 40% of its vehicles in Japan and exported nearly 60% of that. It has benefited from a weaker yen that allows it to export cars more profitably. Toyota, which is scheduled to announce quarterly results on 2 August, is expected to post an 84% year-on-year rise in operating profit to 649 billion yen ($6.5 billion) and an operating profit margin of 10.8%, according to analyst forecasts. The results would likely outpace those of No. 2 Japanese automaker Nissan Motor Co. and third-ranked Honda Motor Co. Domestic used vehicle sales fell 2.9 percent from a year before to 2.03 million units in the January-June period, industry data showed Wednesday. Sales marked the first decline in two years for the first-half period, the Japan Automobile Dealers Association said. The decline stemmed from a shortage of inventories in line with a decrease in new vehicle sales following the end of a government subsidy program for fuel-efficient cars in September, association officials said. In addition, an increasing number of trade-in vehicles have been too old to be sold as used vehicles, the officials said. BEIJING (Reuters) -- Toyota and its dealers are quietly maneuvering to allay risks from periodic eruptions of anti-Japan sentiment in China, even as recent sales data suggest a slow but steady recovery for Japanese automakers since the latest flare-up last year. China sales for Toyota Motor Corp. and other Japanese car makers tumbled after a territorial dispute between Beijing and Tokyo sparked an outbreak of anti-Japanese protests in September last year. Trade and diplomatic ties between Asia's two biggest economies are prone to sporadic disruptions, a legacy of the lingering bitterness from Japan's wartime occupation of large parts of northeastern China. As a result, some executives at Toyota's China unit are considering the merit of focusing its sales effort, at least in the shorter term, on southern China, where anti-Japanese sentiment is historically weaker. In the south, sales of Japanese cars have all but recovered to pre-September levels "as if nothing happened", a senior Toyota executive in Beijing said. "Our feeling is why spend money to overcome the bias against Japanese products in northern China?" the executive said. "We could get more bang out of that same money by focusing on southern China where we already have a (relatively) good will towards Toyota and Lexus." Asked about such a move, a Toyota spokesman said it was focusing on the quality of it products. Tokyo: Japanese automakers such as Honda Motor Co. and the Toyota-Daihatsu group have a problem: the smallest cars they make are very big in Japan—and only Japan. Consider Honda’s hi-tech N BOX, a four-passenger microcar that combines some of the utility features of a much larger SUV—the seats roll down to load a bicycle or two—and the fuel-sipping economy of a tiny, 660-cc engine. For the first half of 2013, the zippy N BOX was the best-selling car in Japan’s popular vehicle category that now represents almost 40% of vehicles on the road. But outside Japan, the concept of the so-called kei car, a term derived from the Japanese word light, is mostly unknown. Now that could change. The Japanese auto giants are considering exporting the technology to emerging market countries. “We have fairly low-priced cars in those markets already, but in India and markets like Indonesia, we need even smaller, even more affordable cars,” Honda’s chief spokesman Masaya Nagai said. Rising fuel costs and a fast growing middle class in the world’s second and fourth most populous states make them likely to be the first microcar customers. As a first step, companies such as Honda have designed their kei cars—the kei is pronounced like the letter “k”—in a way that makes its easier to produce them overseas. “We spent a long time nurturing the kei car technology in Japan, and we think it has the potential to be useful not only in developed markets but also in emerging markets,” Honda’s chief executive officer Takanobu Ito told reporters in June. Toyota Motor Corp. is using technology from its affiliate Daihatsu Motor Co., a kei-car specialist, to develop minicars for Indonesia. Mitsbubishi Motors Corp. is looking at selling kei-concept cars in Africa, where president Osamu Masuko plans to attend a distributors’ conference this month. Nissan’s chief operating officer Toshiyuki Shiga also said last month that kei cars have a potential of going global. While few Japanese carmakers have tried to popularize microcars outside of Japan, there are exceptions. Suzuki Motor Corp. and Daihatsu have targeted India and Southeast Asia since the early 1980s, building a credible presence, although their technology differs from that used to build Honda’s kei. More recently, General Motors Co. and its Chinese affiliate Wuling have been making an aggressive push for micro minivans in China. Their next bet is India. Honda believes its advanced microcar technology and the favourable marketing conditions in India and Indonesia mean that the time is right to export the kei concept. Joost Geginat, an auto market expert with Roland Berger consultancy in Singapore, predicts Japanese companies will invest a total $1.8 billion to produce kei-concept cars in Indonesia. Now the race in the microcar market is heating up. Honda, Japan’s third largest automaker most famous for its Civic and Accord cars, is betting on small cars to meet its aggressive target of selling six million vehicles globally a year by March 2017 from current sales of around four million. To do so, Honda aims to double sales in emerging markets to account for half of total vehicle sales, and its kei car technology could play a key role in that. Indonesia, where over a million cars were sold last year, is one such market. Last month, Jakarta rolled back fuel subsidies, raising motor fuel prices by an average of 33%. At around the same time, Indonesia signed into law a Low Cost Green Car (LCGC) programme to promote small cars such as the kei, though it is on hold pending review. Geginat says Toyota, Daihatsu, Suzuki and Honda could roll out a combined 500,000 LCGCs, valued at under at $10,000 each, a year once the new law is in place. Honda is looking at taking the microcar technology to Indonesia and neighbouring Malaysia, Hiroshi Takemura, who oversees Honda’s small car operations, told Reuters last month. The company has designed its N BOX to share certain structures with the Fit, Honda’s global compact car also known as the Jazz, meaning the two cars can be manufactured on the same line, said Yoshiyuki Matsumoto, Honda’s managing officer. Honda currently builds the Fit or Jazz at 10 plants around the world, including Indonesia and Thailand. One challenge for Honda and other Japanese automakers is pricing. Honda’s N BOX starts from around $12,500, slightly more expensive than the outgoing model of the Fit that starts from about $12,200. To produce a sub $10,000 no-frills car in Indonesia, features like the turbocharger, vehicle assist system and airbags may have to go, and an old-fashioned key used to start the car instead of an electronic smart key. Japanese automakers, rebounding from an earthquake and aided by a weakening yen, cranked up U.S. vehicle production by 36 percent last year while boosting imports from Japan by 19 percent. Japanese automakers built 3.3 million cars and trucks in the U.S. last year, up from 2.4 million in 2011, according to new data from the Japan Automobile Manufacturers Association, a Tokyo-based trade group representing that country's major carmakers. That was the most since 2007, when Japanese automakers produced 3.5 million vehicles in the United States, JAMA said. As U.S. auto sales reached their highest level last year since 2007, Japanese automakers boosted their U.S. market share to 36.9 percent, from 34.9 percent in 2011. Toyota Motor Corp., Honda Motor Co. and other Japanese automakers rebounded from Japan's 2011 earthquake and tsunami that crippled output, cutting off critical parts needed to produce vehicles. "We're finally seeing recovery from the recession as well as the earthquake and tsunami," said Ron Bookbinder, general director of JAMA USA. "As long as the U.S. economy and U.S. vehicle demand hold up, U.S. production should continue to rise." Japanese automakers are also benefiting from a yen that has weakened by 19 percent against the dollar since Oct. 31, when Prime Minister Shinzo Abe began a campaign to lower Japan's currency to stimulate the economy. That gives Japanese automakers an extra $1,500 to $2,000 per car and reduces the cost of production in Japan, according to Morgan Stanley. Auto imports from Japan rose to 1.7 million vehicles last year, from 1.4 million in 2011, according to JAMA. That was the highest since 2008, when Japanese automakers imported 2.1 million cars and trucks into the United States, JAMA said. The weaker yen also lowers Japanese automakers manufacturing costs in the United States because their cars contain so much content from Japan, said Adam Jonas, an analyst for Morgan Stanley. He calculates Japanese autos sold in the U.S. contain about 44 percent of Japan-made parts. "The yen doesn't sell cars, but it deals you a good hand," said Jonas, who just returned from meeting with automakers in Japan. "What sells cars is how the Japanese share the yen with consumers, either in the form of a lower price or a better car at a similar price." Nissan Motor Co.'s U.S. sales surged 25 percent in May, triple the industrywide gain, after it cut prices on seven models. Honda is introducing a redesigned 2014 Acura MDX with $4,000 in additional features, yet that model's price is only $1,710 higher, Jonas said. "The Japanese do want to gain share here," said Jonas, who forecasts Japanese automakers share of the U.S. market will grow to 40 percent next year from 39 percent this year. "They know that Abe's got their back. He's not going to let them down. They're not going back to a strong yen because he's got to save the economy." Ford Motor Co. CEO Alan Mulally last week told Bloomberg Television that Japan is "absolutely" manipulating its currency to give its domestic companies an unfair advantage. "With the currency manipulation, we just have to get back to the place where the currencies are set by the markets and the free trade agreements really are free trade agreements," Mulally said on Bloomberg TV June 20. JAMA's Bookbinder declined to comment on the yen's effect on Japanese production. John Mendel, Honda's U.S. sales chief, said the yen-effect is overestimated. "I'm not going to say it's much ado about nothing," Mendel said in an interview. "But it certainly is not a game changer for American Honda because 90 percent of what we sell here, we build here." Exports from Japanese automakers' U.S. plants reached a record last year of 335,680 vehicles, up 29 percent from 259,908 in 2011, JAMA said. Most of those cars and trucks go to Canada, JAMA said. The U.S. version of the standard Fit and its crossover variant will be sourced from Honda's new assembly plant in Celaya, Mexico. That factory goes online in spring 2014. Honda expects the plant to produce 200,000 Fits and Fit crossovers for the North America annually. Globally, the gasoline-powered Fit will be offered with a 1.3-liter port-injection or 1.5-liter direct-injection version of Honda's new Earth Dreams engine, combined with the company's new Earth Dreams continuously variable transmission. The United States is expected to get only the bigger powerplant. Both engines will be offered with a manual transmission in some markets. The hybrid gets a 1.5-liter, Atkinson-cycle engine with a seven-speed dual clutch transmission. Electric power comes from a 22-kilowatt electric motor and lithium ion battery. The gasoline-powered Fit sold just 25,541 units in the first six months of 2013, up 5 percent from the year before. And Honda's U.S. hybrids tallied a paltry 9,011 units sold through June, down from 10,712 vehicles in the same period of 2012. The new hybrid Fit hatchback achieves fuel economy of 36.4 kilometers per liter, or 86 mpg, under Japan's testing regime. That marks a 30 percent improvement over the hybrid version of the current Fit, which sells big in Japan but never made it to North America. Those fuel economy figures don't translate directly into U.S. EPA ratings because the testing cycle differs in Japan. But the Fit's Japanese rating edges the 35.4 kilometers per liter, or 83 mpg, rating for the Prius C here. The Prius C, known as the Aqua in Japan, was this country's second-best selling car for the first half of 2013, trailing only the standard Toyota Prius hatchback. The new Fit has not yet received an EPA fuel economy rating. But fuel savings from Honda's new small-hybrid system are big enough to warrant its U.S. introduction, Jiro Yamaguchi, managing officer in charge of global vehicle development, said at a recent test drive event for the Fit five-door at Honda's Hokkaido proving ground in northern Japan. "I was not that confident with the previous model, but this model would absolutely sell well in America," Yamaguchi said. Launch timing has not been decided. But Yamaguchi said hybrid variants likely will be introduced around the time that the standard gasoline version goes on the market, by next summer. TAKASU, Japan -- Honda Motor Co. plans to bring hybrid variants of its Fit subcompact to the United States with the car's redesign, as the Japanese automaker wagers that its new hybrid drive-train will challenge Toyota Motor Corp.'s dominance in the field. The third generation of the Fit hatchback, one of Honda's best-selling global nameplates, will hit U.S. showrooms by next summer and will go on sale in Japan in September. The U.S. version also will be the first Fit manufactured in North America. Key to the revamp, which introduces Honda's new design language with a new interior and boldly creased sheet metal, is a newly developed one-motor gasoline-electric drive-train. While the United States is not expected to get the hybrid version of the standard Fit five-door, hybrid versions of a Fit-based small crossover and sedan are planned for the United States. Those vehicles are expected to arrive as early as next year. The new hybrid system, dubbed Sport Hybrid Intelligent-Dual Clutch Drive, greatly boosts fuel economy over the current integrated motor assist system. Honda has been using the outgoing integrated motor assist system for years in such cars as the Insight. The new Fit is a Honda milestone for several reasons. It showcases Honda's attempt to rejuvenate its styling. And the car is the first product of a revamped global product development strategy that aims to better tailor vehicles to local markets and regional manufacturing abilities. Finally, the hybrid version pumps up Honda's competiveness in the small hybrid segment. Cars such as the Insight and CR-Z hybrids have failed to gain traction in the United States, even while rival offerings such as Toyota's Prius C successfully carved out a niche. Sales of the Prius C subcompact climbed 27 percent to 20,575 units through June. It has four wheels, a racing seat and can reach an estimated 130 mph and Hondacalls it the Mean Mower. It has four wheels, a racing seat and can reach an estimated 130 mph and Honda calls it the Mean Mower. Powered by a 109-hp V-twin 1.0-liter motorcycle engine borrowed from the Honda Super Hawk, the one-off screams from 0-60 mph in four seconds. For some perspective, that’s only a hair slower than the 5.5-liter biturbo V8 S63 AMG Mercedes unveiled earlier today. It’s also still able to cut your grass at up to 15 mph. The tractor was re-engineered to be stiffer and lighter to optimize performance, while the grass bag disappears to make room for a fuel tank, a high capacity oil cooler and a secondary water cooling radiator. In total, the toy weighs a little over 308 lbs. High-speed mowing enthusiasts in the U.S. will have to settle for the mundane Husqvarna “Fast Tractor” that tops out at 8 mph. For the second time in seven months, Toyota Motor Corp. and Ford Motor Co. both claim to produce the world's top-selling car. The clash shows how counting in the global automotive industry is complicated. Ford said Tuesday that its Focus compact was the leading global nameplate with 1.02 million sales last year, citing R.L. Polk & Co. data that pegged Toyota's Corolla deliveries at 872,774. Toyota replied with a statement later the same day that claimed it sold 1.16 million Corollas. Determining which company is correct isn't clear-cut. Tuesday's dispute followed a similar spat in August, when Ford claimed a six-month global sales lead for the Focus and cited IHS Automotive data that excluded some derivatives of the Corolla - such as the Matrix in the U.S., the Auris in Europe and the Verso in Japan. Analysts also calculate global sales differently on the basis of autos sold by joint-venture partners. Japan's Toyota Motor says global sales of its hybrid vehicles topped 5-million units. That's in cumulative terms since its first hybrid model, the Prius, was launched back in 1997. 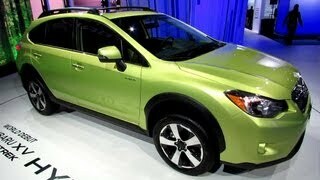 Toyota executives said on Wednesday that the company had sold 5.12 million hybrids through the end of March. Last year, it enjoyed a surge in demand and sold a total of 1.21-million units of 20 models worldwide. Toyota says Japanese government subsidies for buyers of eco-friendly cars, and stricter environmental standards in the US and Europe, helped boost sales. Japan's top three automakers -- Toyota, Nissan and Honda -- all produced record high numbers of vehicles overseas in the past business year through March, due partly to increased production in North America and emerging Asian countries on robust demand, according to data released Wednesday. Toyota Motor Corp., Asia's largest automaker, produced a record 5.20 million vehicles overseas, up 17.8 percent from the previous year. Toyota group global production -- which includes output by small-car maker Daihatsu Motor Co. and truck-making unit Hino Motors Ltd. -- also hit an all-time high of 9.72 million vehicles, up 13.4 percent. Nissan Motor Co.'s production outside Japan expanded 2.6 percent to a record 3.73 million vehicles, reflecting a 16.3 percent increased in production in the United States. The Japanese automaker, Honda has announced to launch the next-generation 2014 Jazz hatchback in September in Japan. The new Jazz is based on a completely new platform, which will also be used to develop next-generation City sedan and the Jazz based compact SUV. As the vehicle will go on sale in the Japanese auto market by September, we could now expect it to hit Indian shores by the early 2014. We earlier reported that the Honda India has plans of launching four new products within next three years, including next-generation Jazz and an all-new utility vehicle next year. While the next-generation City and Brio based MPV will come after the launch of new Jazz. The previous generation Jazz has already been discontinued from the Indian car market, and this opens up a new gate for 2014 Jazz to come in our country. The vehicle was phased out due to its poor sales and huge losses. In fact, the company sold the last units of the vehicle on huge discounts, which further hit the profit margins of the Japanese car maker, forcing it to remove the car from its Indian lineups. New Honda JazzMoreover, the previous generation Jazz lacks in diesel engine, which seems to be one of the major reasons behind its low sales along with its high price tag. Now, Honda seems to rectify all these issues and will launch the 2014 Jazz with more aggressive pricing and with diesel engine. Honda cars India is also betting on more localization, as we have already seen Brio hatch and Amaze compact sedan, priced very competitive in the market. It is also said that the next generation Jazz hatchback will be 60mm longer, and has a stretched wheelbase, making it more spacious than its predecessor. The vehicle will come with design upgrades both inside and outside. Couple of days back, a fleet of leaked press shots of 2014 Jazz surfaced on web. The images shows that the vehicle has received a wider grille and elongated headlamps, more aggressive bumper with larger dams. The rear too features a new tail-lamp clusters, which gets a vertical assembly, rising up to the C-Pillar from the bumper. The next-generation Honda Jazz will be powered by the Earth Dream technology, 1.5-litre i-DTEC engine, which also does duty in the recently launched compact sedan Amaze. 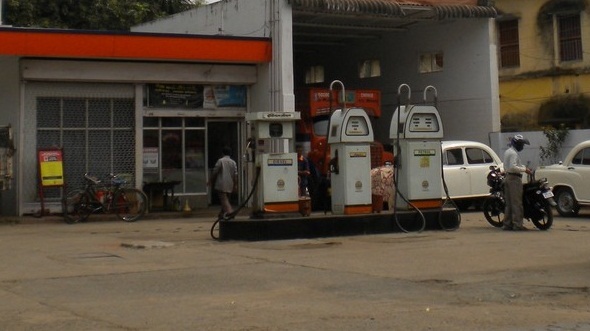 The petrol Jazz will continue using 1.2-litre petrol mill. Car-loving tree huggers can now drive off deep into the woods, as Subaru has finally started selling its first-ever hybrid. In Japan, at least. The Subaru XV Hybrid began sales this week in its home country, boasting its ever-present all-wheel-drive layout combined with a CVT transmission and weight-saving features such as aluminum wheels. Most importantly, the car's 2-liter engine delivers about 45 miles per gallon, on the Japanese driving cycle. Honda Motor Co. and General Motors Corp. of the U.S. will tie up in environmental technology, the Nikkei reports. The deal is a shift in strategy for Honda, which has been working on its own amid a big shift in car-makers approach to green technology. Honda Executive Vice President Tetsuo Iwamura and General Motors Vice Chairman Stephen Girsky will explain the details at a news conference in New York at 9 a.m. Tuesday, local time. General Motors has a joint venture in China with Shanghai Automotive Industry Corp. (Group) in electric cars. The deal with Honda will allow the U.S. car maker to form a partnership with a Japanese company. Nissan Motor Co.'s U.S. sales surged 25 percent in May, triple the industry-wide gain, after it cut prices on seven models. Honda is introducing a redesigned 2014 Acura MDX with $4,000 in additional features, yet that model's price is only $1,710 higher, Jonas said. In 1904, Torao Yamaha produced the first domestically manufactured bus, which was powered by a steam engine. In 1907, Komanosuke Uchiyama produced the Takuri, the first entirely Japanese-made gasoline engine car. The Kunisue Automobile Works built the Kunisue in 1910, and the following year manufactured the Tokyo in cooperation with Tokyo Motor Vehicles Ltd. In 1911, Kwaishinsha Motorcar Works was established and later began manufacturing a car called the DAT. In 1920, Jitsuyo Jidosha Seizo Co., founded by William R. Gorham, began building the Gorham and later the Lila. The company merged with Kwaishinsha in 1926 to form the DAT Automobile Manufacturing Co. (later to evolve into Nissan Motors). From 1924 to 1927, Hakuyosha Ironworks Ltd. built the Otomo. Toyota, a textile manufacturer, began building cars in 1936. Most early vehicles, however, were trucks produced under military subsidy. Cars built in Japan before World War II tended to be based on European or American models. The 1917 Mitsubishi Model A was based on the Fiat A3-3 design. (This model was considered to be the first mass-produced car in Japan, with 22 units produced.) In the 1930s, Nissan Motors' cars were based on the Austin 7 and Graham-Paige designs, while the Toyota AA model was based on the Chrysler Airflow. Ohta built cars in the 1930s based on Ford models, while Chiyoda built a car resembling a 1935 Pontiac, and Sumida built a car similar to a LaSalle. The Ford Motor Company of Japan was established in 1925 and a production plant was set up in Yokohama. General Motors established operations in Osaka in 1927. Chrysler also came to Japan and set up Kyoritsu Motors. Between 1925 and 1936, the United States Big Three automakers' Japanese subsidiaries produced a total of 208,967 vehicles, compared to the domestic producers total of 12,127 vehicles. In 1936, the Japanese government passed the Automobile Manufacturing Industry Law, which was intended to promote the domestic auto industry and reduce foreign competition; ironically, this stopped the groundbreaking of an integrated Ford plant in Yokohama, modeled on Dagenham in England and intended to serve the Asian market, that would have established Japan as a major exporter. Instead by 1939, the foreign manufacturers had been forced out of Japan. Vehicle production was shifted in the late 1930s to truck production due to the Second Sino-Japanese War. For the first decade after World War II, auto production was limited, and until 1966 most production consisted of trucks (including 3-wheel vehicles). Thereafter passenger cars dominated the market. Japanese car designs also continued to imitate or be derived from European and American designs. During the 1960s, Japanese automakers launched a bevy of new kei cars in their domestic market; scooters and motorcycles remained dominant, with sales of 1.47 million in 1960 versus a mere 36,000 kei cars. These tiny automobiles usually featured very small engines (under 360cc, but were sometimes fitted with engines of up to 600cc for export) to keep taxes much lower than larger cars. The average person in Japan was now able to afford an automobile, which boosted sales dramatically and jumpstarted the auto industry toward becoming what it is today. The first of this new era, actually launched in 1958, was the Subaru 360. It was known as the "Lady Beetle", comparing its significance to the Volkswagen Beetle in Germany. Other significant models were the Suzuki Fronte, Mitsubishi Minica, Mazda Carol, and the Honda N360. The keis were very minimalist motoring, however, much too small for most family car usage. The most popular economy car segment in the sixties was the 700-800 cc class, embodied by the Toyota Publica, Mitsubishi Colt 800, and the original Mazda Familia. By the end of the sixties, however, these (often two-stroke) cars were being replaced by full one-litre cars with four-stroke engines, a move which was spearheaded by Nissan's 1966 Sunny. All other manufacturers quickly followed suit, except for Toyota who equipped their Corolla with a 1.1 litre engine - the extra 100 cc were heavily touted in period advertising. These small family cars took a bigger and bigger share of an already expanding market. Rapidly increasing domestic demand and the expansion of Japanese car companies into foreign markets in the 1970s further accelerated growth. Passenger car exports rose from 100,000 in 1965 to 1,827,000 in 1975. Automobile production in Japan continued to increase rapidly after the 1970s, as Mitsubishi (as Dodge vehicles) and Honda began selling their vehicles in the US. Even more brands came to America and abroad during the 1970s, and by the 1980s, the Japanese manufacturers were gaining a major foothold in the US and world markets.